Selecting the right music for your wedding ceremony might feel like a daunting task, and having done our fair share of ceremonies, we know first-hand how daunting the ceremony music selection can be if you don’t have help or know where to start. Sometimes (most often actually), it can almost be so intimidating that it either gets pushed off until the last minute, or the choices are just left in the hands of the DJ. At Sounds To Go, we don’t think that your ceremony music should be an after-thought, even if that is how it is often treated. We provide you with an amazing amount of information to help you plan the ceremony music that is right for you and your occasion, and upon request, we are even happy to provide a complimentary cd of the selections you choose for your ceremony rehearsal. Traditional. Elegant. Tasteful. These are some words that might come to mind when you are trying to decide on music for your ceremony. As we all know, there is no shortage of wonderful classical works that fit all three of these criteria. What some brides and couples-to-be don’t realize though is that the above words can also be mixed with words like fun, lighthearted, and airy. There are classical works that can convey just about any type of mood and set any kind of atmosphere that you might desire. You can go for a somewhat more powerful and “serious” ceremony which is celebratory in nature, but is still restrained and somewhat more reverent in character, or you can go for a more loosely-knit tapestry of sound where light and wispy elements dance around each other creating a very joyous and lighthearted mood. There are certainly plenty of choices in between those two extremes as well. Currently, we have scores of different classical wedding compositions to choose from, and for many of them, we have multiple versions, each with different arrangements and instrumental combination to reflect and capture your mood! As with every part of your wedding, there are no rules when selecting music for your ceremony. You can go without the classical works altogether and use contemporary instrumental or vocal music to set the mood you desire. Perhaps you are having an interfaith marriage, or would like to incorporate different ethnic or cultural elements into your wedding ceremony. We've had couples use selections from Broadway shows, movie sound tracks, and more. One couple even used a selection from the groom's band! Whatever approach you would like to take, we are here to help you make it happen! Traditional classical selections - All the favorites and some fresh ideas too. String Quartet selections - Perfect for a light, airy & fun ceremony outdoors! 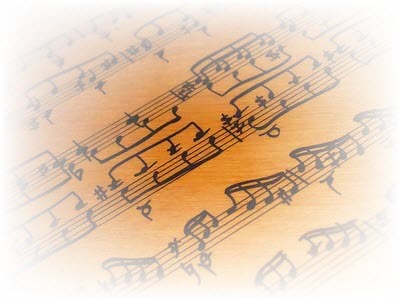 Solo Piano Selections - Simple, Intimate & Romantic. Cultural Selections - Celebrate your heritage or just create a mood! And MORE... How do you envision your ceremony? Want to listen to classical selections both traditional & adventuresome? Contact us today! We know first-hand the kind of atmosphere and mood that live musicians can provide for your wedding ceremony, and even cocktail/dinner hours. Because of our experience in the Sacramento area, and because we have worked with several of the finest musicians in the area, we have a list of local performers we recommend on our Vendors & Venues page. Working on a budget? Let us help you SAVE MONEY by providing the kinds of music you are looking for: Harp, Acoustic/Classical Guitar, String Quartets, etc! We can provide the same kind of atmosphere and sense of intimacy at a fraction of the cost of hiring a live musician. Choose us to help you celebrate your special day through music, and we will help you make he most of every part of your wedding, including your ceremony music selection, and we will even make it fun along the way! Presentation Style | Music | Ceremony Music | Equipment | Dance Lighting | Projector & Screen | F.A.Q. © Copyright 2014 Sounds To Go Mobile DJ Services. All Rights Reserved.